The world's greatest tourist center is hosting the largest architectural biennale where there's also a place for art. “Contemporary Russian creativity has the peculiarity of coming up with an interesting and serious idea, but realizing only the first stage of this thought, which then needs to be perfected and executed in an ideal manner. But I don’t have any problems with the Russian pavilion. Everything was created and done excellently, from the small captions to the wonderful video,” Zelfira Tregulova, head of the Tretyakov Gallery, told Russia Beyond. Semyon Mikhailovsky, the pavilion’s curator, expressed the general theme of the 16th International Architecture Biennale, “Freespace”, by combining architecture, history, art and the future of cities and train stations, which are like beacons in Russia’s endless expanses. 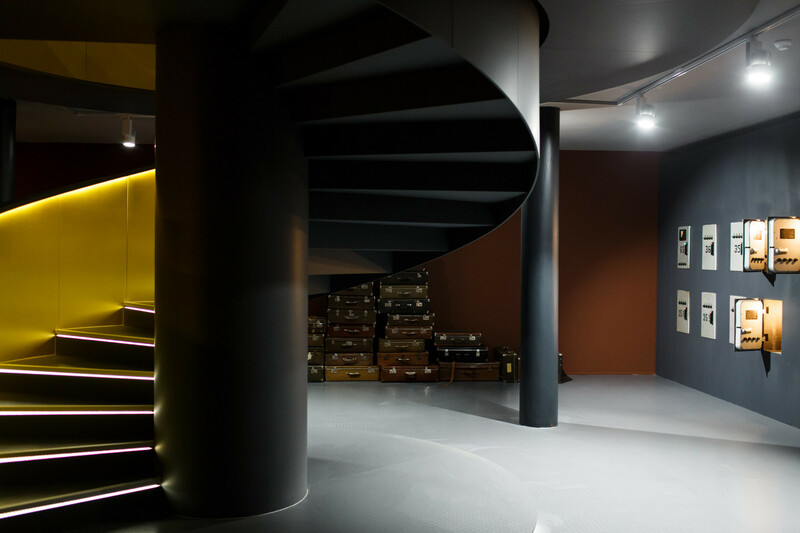 There are at least five reasons to take a glance at the Russian pavilion in Giardini as you are strolling through the world’s greatest tourist center. The first train station in Tsarist Russia was built in 1838 in the St. Petersburg suburb of Pavlovsk (about 18 miles from the imperial capital), which had one of the imperial summer residences. The station served not only as a place where trains came to from the capital, but also as a concert hall and ballroom that hosted the performances of many extraordinary musicians and composers of the time, including Johann Strauss. The neo-Baroque building was completely destroyed during WWII. Today it has been restored as a model art object for the Russian pavilion, where it stands in the center. 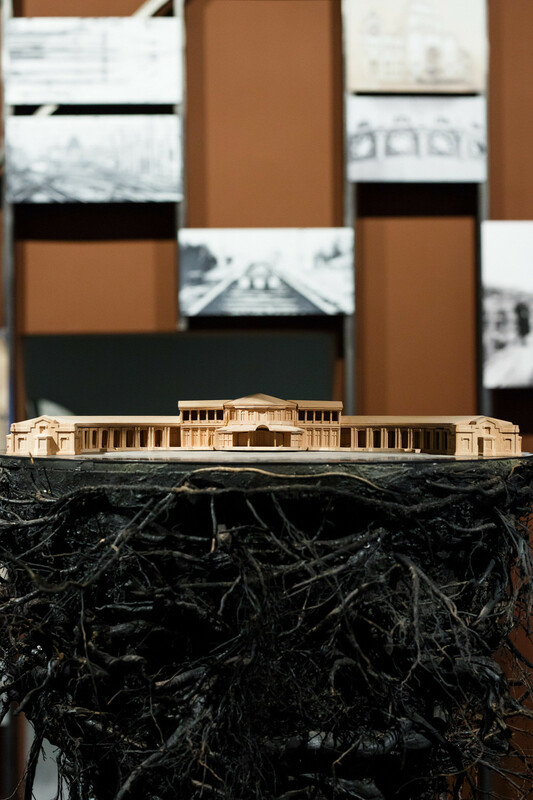 The Pavlovsk Train Station, which looks as if it were uprooted straight from the ground, is not the only art object on exhibit. 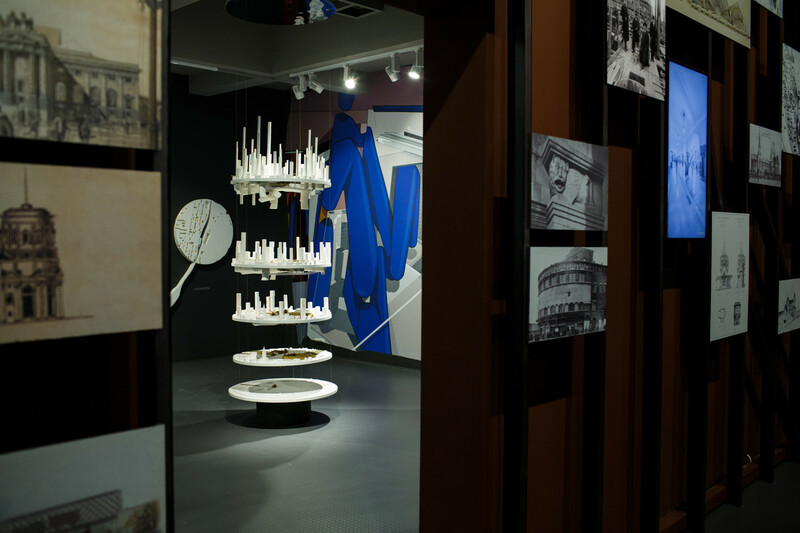 The stereotypical architectural exhibition of models, photos and sketches is evolving in combination with the works of modern artists. 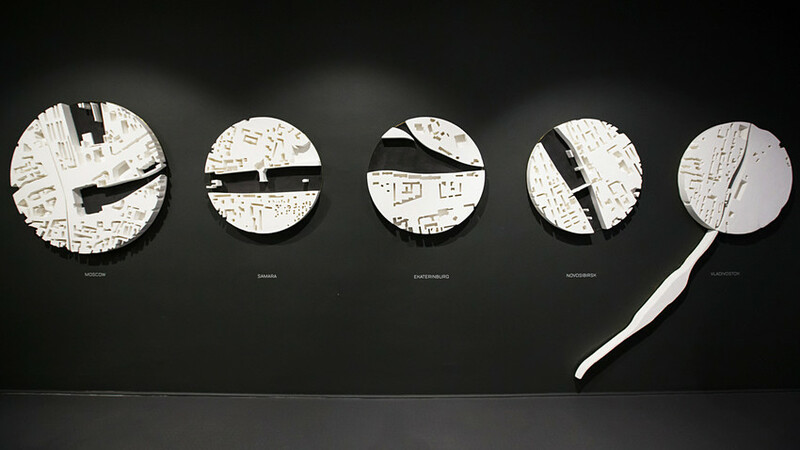 The exhibition contains Arden Valda’s dynamic video map of the history of Russian railways, as well as installations made with Soviet suitcases and storage room lockers and walls with graffiti by Anatoly Akue – indispensable companions of train stations and tunnels. There is also a captivating travel video by director Daniil Zinchenko. Zinchenko’s 7 Days in 7 Minutes travel video is not only a cinematic journey; it is first and foremost a personal story. A couple of years ago Zinchenko’s grandfather, an ocean-going captain who lives in Vladivostok, found the director on Facebook. They had never before seen each other. “I decided to travel to the Far East to meet my grandfather. 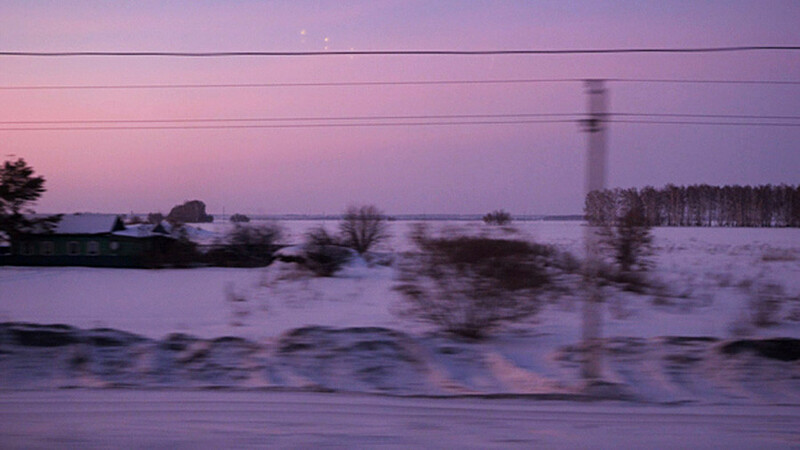 I took the train in order to get a sense of Russia’s endlessness, just like my grandfather had felt the endlessness of the world during his long-distance navigation,” says Zinchenko. Tregulova calls the film not only excellent video art, but also a good example of how to use product-placement in a work of art. “The logo of the sponsor, Russian Railways, experiences its own ‘life in art,’” she remarks. The adjacent video room has another historical art installation, Crypt of Memories, which consists of capsules from St. Petersburg's Moskovsky Train Station from Soviet times that are wedged into the wall. The boxes contain station artifacts and mementos from famous passengers who travelled on Russian Railways, from Tsars Alexander III and Nicholas II to Fidel Castro and David Bowie. For example, here you can learn that Leo Tolstoy hated to use trains and it was a train ride, according to the writer’s personal doctor, that proved fatal, as the death 82-year-old writer fell ill on a train shortly before his death. There is also the story of Mao Zedong who traveled on a special train to meet Joseph Stalin, hoping to receive support from the Soviet leader. Obviously, no national pavilion at the Biennale can do without a project for the future. 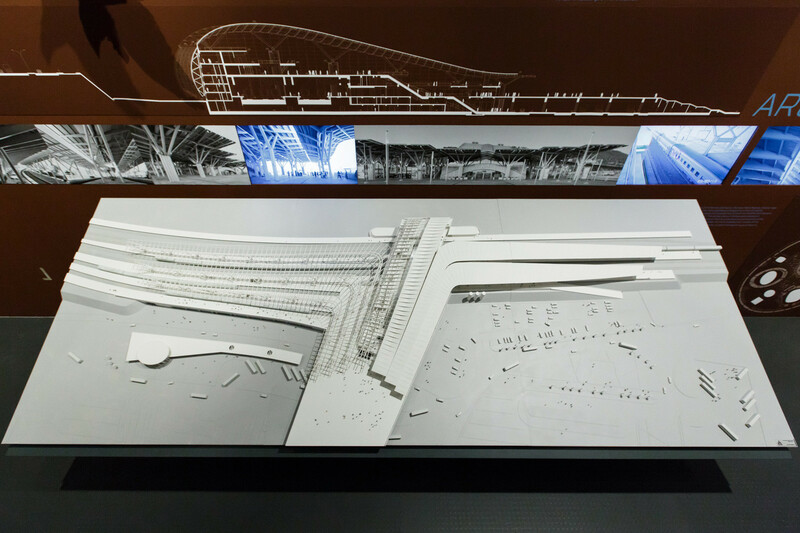 The Russian pavilion shows the high-speed Moscow-Kazan railway, which has been costed at about $17 billion. The project, with its stops and stations dispersed along 550 miles of railways, was presented by Nikolai Shumakov (Metrogiprotrans), who promised that trains traveling up to 220 miles/hr would be able to take passengers from Moscow to Kazan in 3.5 hours.